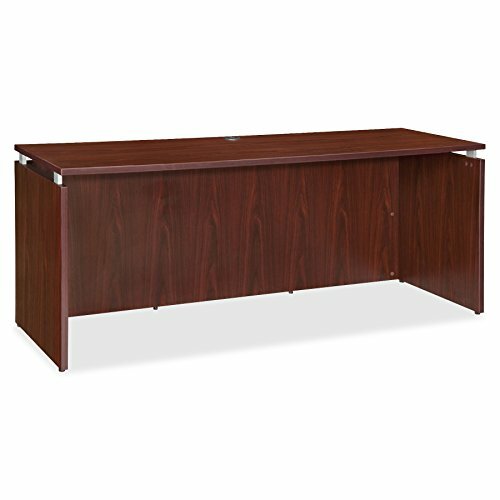 Credenza shell is part of the Lorell Ascent Series Laminate Furniture with contemporary-style laminate and raised, 1" thick floating tops. Mahogany laminate surface and side panels are built for durability and are stain-resistant and scratch-resistant. The top is supported by aluminum brackets to provide the floating appearance. Use the two grommet holes in the top for easy cord routing. 66" wide design also includes a full modesty panel for privacy, 3mm PVC edges (color-matched) and adjustable floor glides for stabilization.